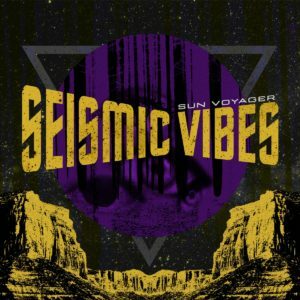 For those who’ve not been paying attention, fuzz rock troupe Sun Voyager have been lurking on the Brooklyn underground scene since 2012. After a few enjoyable EPs, ‘Seismic Vibes’ – their first full length LP – really capitalises on their previous musical ideas, presenting a world of haze and stoner based riffs with not only more confidence but also a better production value than they’ve ever had. Those who think “better production” could also mean more commercial should fear not, though, since everything that was great about these mighty Sun lords before remains just as great; it’s just that this time around, the material has more warmth and depth. It’s interesting they’ve not taken advantage of the longer playing time and experimented with longer songs, but just one or two listens to this album should be enough to explain why: there’s definitely something about this material that is more effective in short bursts. 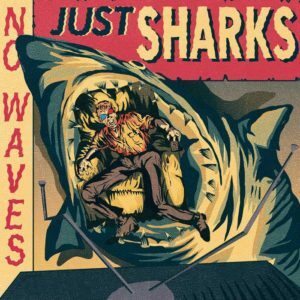 Three years on from ‘Snake Oil Superscience’, Brooklyn’s Mad Doctors mean business on their second full length ‘No Waves, Just Sharks’. 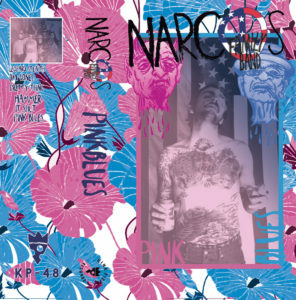 On this album, the band truly exploit their b-movie and pulp fiction interests, not only in the artwork, but also by enlisting various friends to drop various spoken word passages between the tracks, giving the impression they’ve mined the vaults for unknown media samples. In some ways, this is better than using actual samples, in that the clips are tailor made and – perhaps, rather more importantly in this case – it also saves the band and label time and money on clearance rights. Fans of bands within the King Pizza stable might even recognise a few of the voices as belonging to Laura Gwynn and Riley Zeisig (Sirs&Madams) and the whole of label-mates The Rizzos. 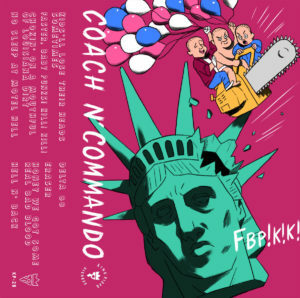 COACH N COMMANDO – FBP!K!K! Coach N Commando are a two-piece act that are almost the dictionary definition of the word niche. These self-styled country punks create a raw sound that sounds like the deformed mutation of Lux Interior, Reverend Horton Heat and a toothless bluegrass hobo. Their 2016 release – their first for Brooklyn’s King Pizza label – is both intricate and ferocious; ugly and smart. Long standing fans will recognise a few tracks reworked from previous records, but rest assured that the re-recordings are an improvement at every turn. The eight songs that make up ‘FBP!K!K!’ play like disastrous musical travelogues retold via a telegram from a previous generation. With bad motels, dirt roads and broken relationships at the core, it’s like everything and nothing you’d expect from such an unholy alliance of sounds.